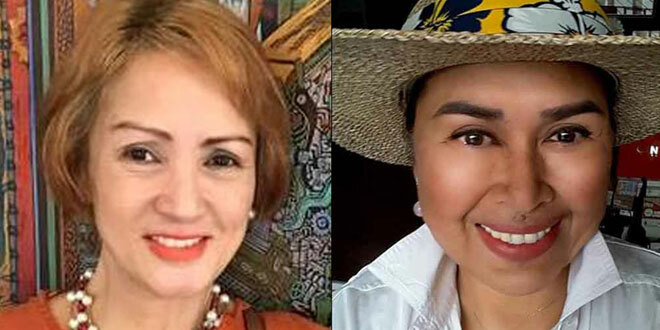 We admire award-winning actress Elizabeth Oropesa for publicly apologizing to fellow actress Azenith Briones over the pieces of jewelry brouhaha that created a stir among show biz denizens and the public alike. It takes guts to muster an apology whether one is guilty or not of a crime one is accused of. The news broke out when Oropesa noted in her Facebook page that Azenith was maliciously spreading a video making it appear that the former was a theft. Oropesa admitted she got back the pieces of jewelry because she discovered that Azenith was badmouthing her and her other friends. Oropesa accused her fellow actress of lack of attention. She then declared she would sue Azenith because she had witnesses to her side. After days of bantering against each other about the missing jewelries particularly in social media and in sporadic personal calls, Elizabeth humbly sought forgiveness from Azenith. “I am sorry,” said Oropesa in a radio show with entertainment broadcasters Gorgy Rula and Morly Alinio over DZRH right after Briones’ press briefing. “What I didn’t like about Oro was that she turned the tables around her lifting the pieces of jewelry from my bag,” exclaimed Zenith. “All the while she knew she got back her jewelries from me, she didn’t say a word although she was just a room away. She gave me nightmares and sleepless nights. She even comforted me not to stress myself about the missing jewelry. I even told her I would pay her one hundred fifty thousand pesos when we got back to Manila. “It was easy to approach me. She should have told me, ‘Azenith I would get back the ring and the earrings’ and that’s. But she even gave me the runaround. What if there wasn’t a CCTV footage that confirmed she was the one who got them, what would happen?” asked Briones. “I am not an attention-getter. I am happy with my family. When I quit showbiz, I have a fulfilled family. I won’t back off from her court case,” quipped one of the finalists to the 1975 Mutya ng Pilipinas beauty pageant. “Azenith was always using the name of the Lord. 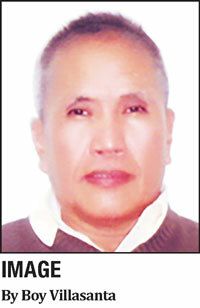 What kind of a person is she?” asked the 1972 Miss RP First-Runner. If we keep track of the series of events, even before the issue was made public, Elizabeth had already said in her soc media postings that she already apologized to Briones. But Beth’s public apology was more emphatic and highly esteemed. According to Azenith, on April 10, 2018 at General Santos City where they were invited by Sarah Manilay, the owner of Golden State University in the city where Oropesa would be the guest speaker of the school’s graduation, Elizabeth entrusted her the pieces of jewelry for sale. It was also on the same day that the items got lost. Briones said she even had the hunch it was indeed Beth who took back the jewelries and threw it straight to her face. “Dala lang ng bugso ng aking damdamin ang mga nasabi ko (What I said were all impulses),” said Oropesa on national radio broadcast. “Hindi na kailangan ng demanda (Court case isn’t necessary anymore),” added El Oro on her public apology. “Mabuti naman at nag-apologize na si Oro. I thank her so much. Sana, tuluyan na siyang magbago (It’s good that Oro already apologize. I hope she would totally turn over a new leaf),” Azenith heaved a sigh of relief.